We want to wish you a very merry Christmas. Christmas is a great time to remember the importance of celebration in our lives as entrepreneurs, dreamers, and idea makers. Often we get caught up in the responsibilities, checklists, obligations, and grind of the journey and we forget to celebrate. We need to celebrate more. It needs to be a part of our journey in chasing dreams. Celebrating reminds us of the gifts, breakthroughs, milestones, and achievements that propel us towards the future. Our challenge to you today is to stop and celebrate the journey you are on. What does it take to be an elite athlete? How can you set records in multiple disciplines of running? 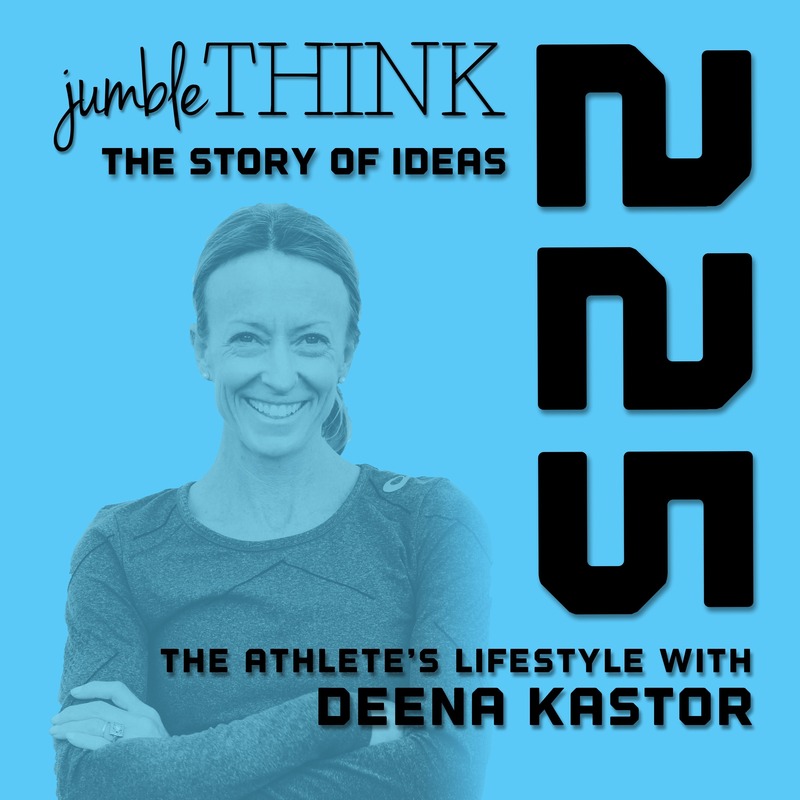 In today's episode Deena Kastor shares the story of her running career and how it changed her thinking, leading her to victory. Deena holds the American record for the marathon and half marathon distances. She also won bronze in the 2004 Athens Olympics. In the episode we talk about running, family, the power of team, overcoming disappointment, finding identity, and flow. 'Many people describe flow as effortless. But a race was always an effort. Flow, to me, was the absence of resistance, when you push into a pace and find nothing in the way of your pursuit. It's movement in its most freeing form.' - Deena KastorLinksBook: Let Your Mind Run: A memoir of thinking my way to victory by Deena Kastor and Michelle HamiltonWebsite: https://deenakastor.com/Recommended ReadingArt of LearningThe Happiness AdvantageBig PotentialAbout Deena KastorWith a record-breaking running resume that elevates and evolves at the same speed as her insatiable pursuit of excellence, Deena Kastor is one of the world’s most extraordinary female athletes. Deena’s career is earmarked by her groundbreaking 2004 Olympic Bronze Medal in the marathon in Athens, Greece, which shattered a 20-year medal draught for U.S. women in the event. Yet, the accomplishments of the 3-time Olympian certainly don’t stop there. Deena is currently the American Record Holder in the marathon (2:19:36) and half marathon (1:07:34) yet has held American records in a distances from 5K to the marathon. She has made 19 U.S. Teams, won 18 U.S. titles and earned two Silver Medals at the World Cross-Country Championships. She is also an 8-Time NCAA All-American. Deena’s win at the 2005 Chicago Marathon was highlighted in the inspiring documentary, Spirit of the Marathon. Deena followed that momentum to win the 2006 London marathon which ranked her #1 in the world that year. In 2014 Deena set 5 world masters records in one race during the Philadelphia Rock ‘n’ Roll Half-Marathon. Deena believes in a balance of life and strives to always be grateful and give back to her community. She is the president of the ASICS Mammoth Track Club, a local running club with recreational members as well as professionals seeking Olympic berths. She is a motivational speaker for corporations, clubs and races. She is currently the Executive Producer of BOSTON, the marathon documentary, because she knows it will inspire runners and also attract people to the sport she loves. Deena has called the town of Mammoth Lakes, CA home for the last 14 years where the altitude of 8,050 feet and simple mountain lifestyle have enhanced her running and allowed all aspects of her life to thrive. When not training with her Asics Mammoth Track Club Teammates, Deena enjoys spending quality time with her family (husband Andrew, daughter Piper and French Mastiff Zita), painting with girlfriends and cooking gourmet dinners for guests at her home. Deena has a reputation for bringing her very best self to the starting line while simultaneously inspiring excellence in everyone around her. Rana Gujral didn't take the typical path into the life of Entrepreneurship. 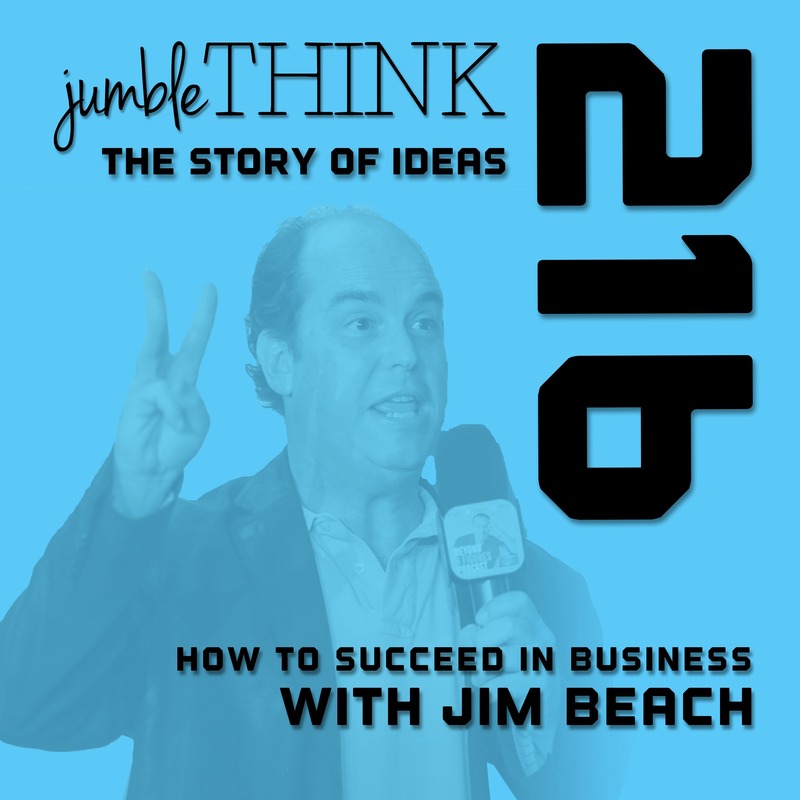 Instead of taking the 'safe' path in business, he took a leap into the unknown. 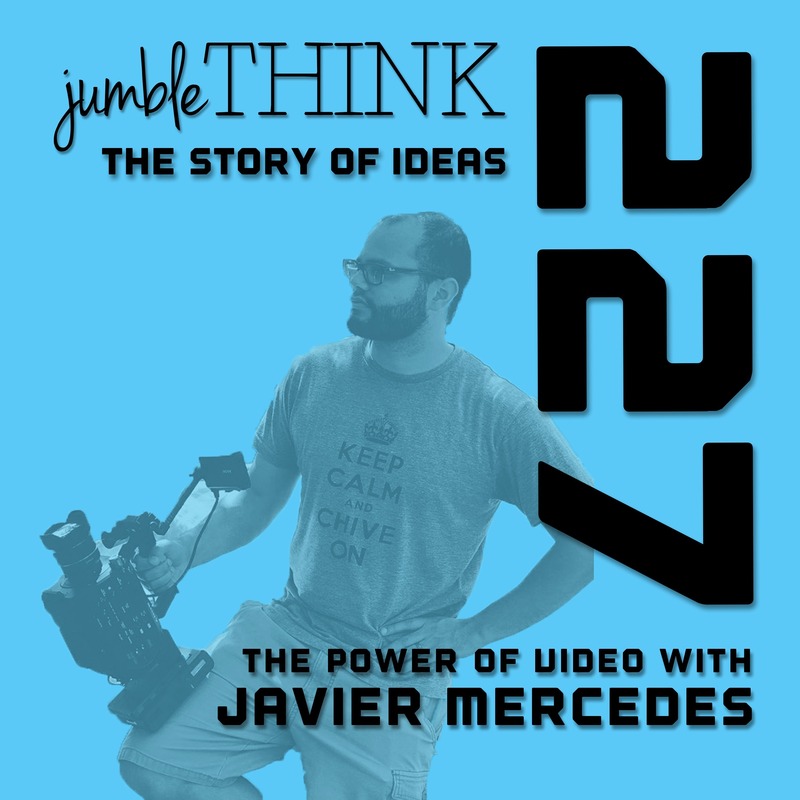 As he took this new journey into entrepreneurship he had to embrace the discomfort. Now he is leading the charge to redefine how AI is using EQ (Emotional Intelligence) to redefine Emotion AI. 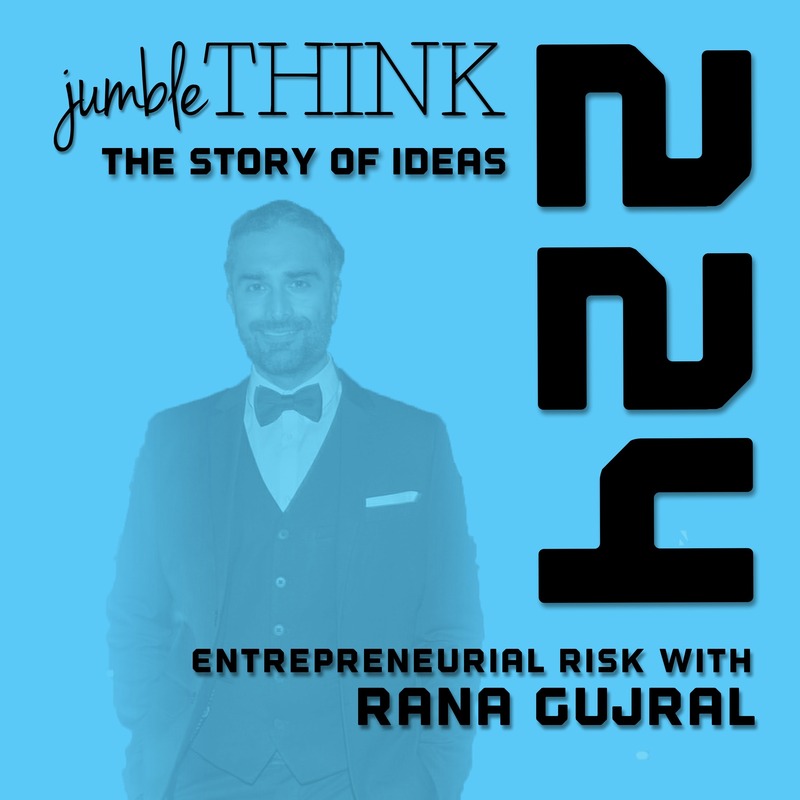 'Don't play it safe, It's not worth the risk' - Rana GujralIn the episode we discuss: AI, Robotics, Entrepreneurship, Robotics, Risk, and more.Recommended Reading: The Goal and Ego is the EnemyLinksRana Gujral WebsiteBehavioral SignalsjumbleThinkAbout Rana GujralRana Gujral is an entrepreneur, speaker, investor and the CEO of Behavioral Signals, an enterprise software company that delivers a robust and fast evolving emotion AI engine that introduces emotional intelligence into speech recognition technology. Rana has been awarded the ‘Entrepreneur of the Month’ by CIO Magazine and the ‘US China Pioneer’ Award by IEIE, he has been listed among Top 10 Entrepreneurs to follow in 2017 by Huffington Post. He has been a featured speaker at the World Government Summit in Dubai, the Silicon Valley Smart Future Summit, and IEIE in New York. He is a contributing columnist for TechCrunch and Forbes. What does it take to build a brand in a crowded market? 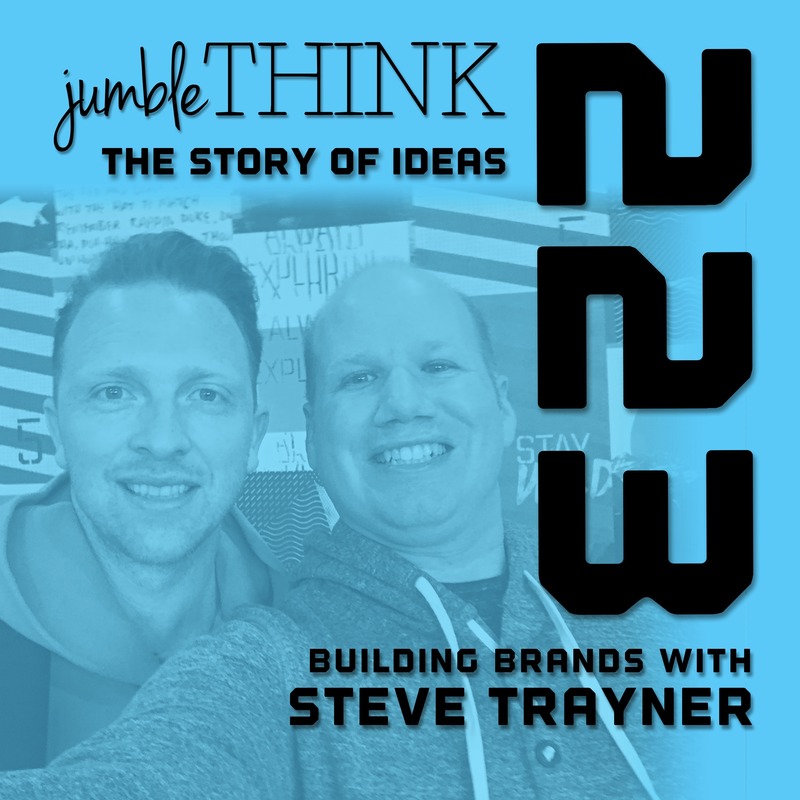 In today's episode we chat with Steve Trayner about his journey of building brands in the clothings industry. Now he helps other brands find their identity, message, and audience to grow their business and influence the world. Steve founded The Barbarian Agency and Great George Watches. He shares the story of how he and his team built these brands and the lessons they learned along the way.Now Steve and his wife Rhema have founded a Revive NYC and LA to help re-imagine how the church in the America can bring back community and deep relationships. They are helping the church remember the local communities and people that they serve.In today's episode we also chat about: the church in America, building businesses, learning as you go, brand consulting, understanding the vision, and more.Recommended Reading: Blue Ocean StrategyToday's episode is sponsored by Mighty Travels and OpportunityInChina.comMore about Steve TraynerSteve has been building brands, strategies, and communications for the better part of 10 years. Working with the likes of Nike, Mini, Stutterheim, Daniel Wellington, Barney’s, Nordstrom, startups, and everything in between. He has learned the ins and outs of the communication, sales strategy and the growth processes working in executive and directorial roles throughout Sydney, Los Angeles, and New York.Barbarian is a relationally based, legacy-centric, strategic agency, open to projects that run the gamut of market growth for brands seeking an insight into building quality momentum that actually works. Critically engaging through thoughtful research and exploration, Barbarian creates clear messages, roadmaps, and form through the right strategy to execute validated growth. Whether it’s sales strategy for multi-national brand or social media influencer alignment, product merchandising, trade show engagement, retail development and cultural ventures, their goal is always the same; produce exceptional work that seamlessly aligns strategy, concept, and execution.Most importantly, Steve is dad to 2 amazing little girls, husband to 1 amazing woman in New York City. Recently Apple held their spring product announcement. In the announcement they launched their new products including Apple Card, Apple Arcade, Apple TV+, and Apple News. Are these new services and products fall in line with the Apple innovation and invention that we've come to know? 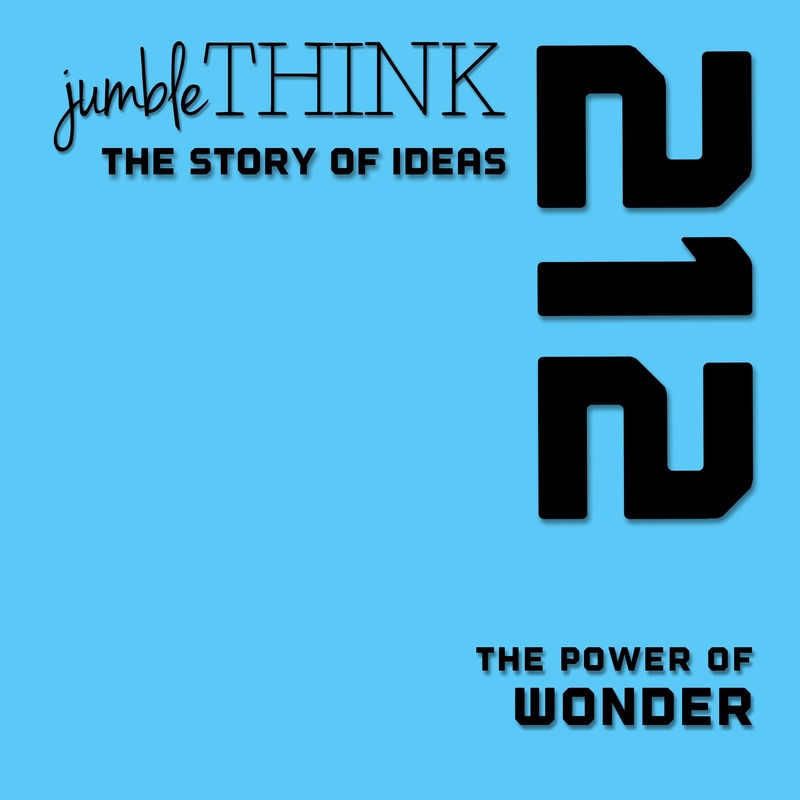 In today'e episode we chat about the power of innovation and invention. 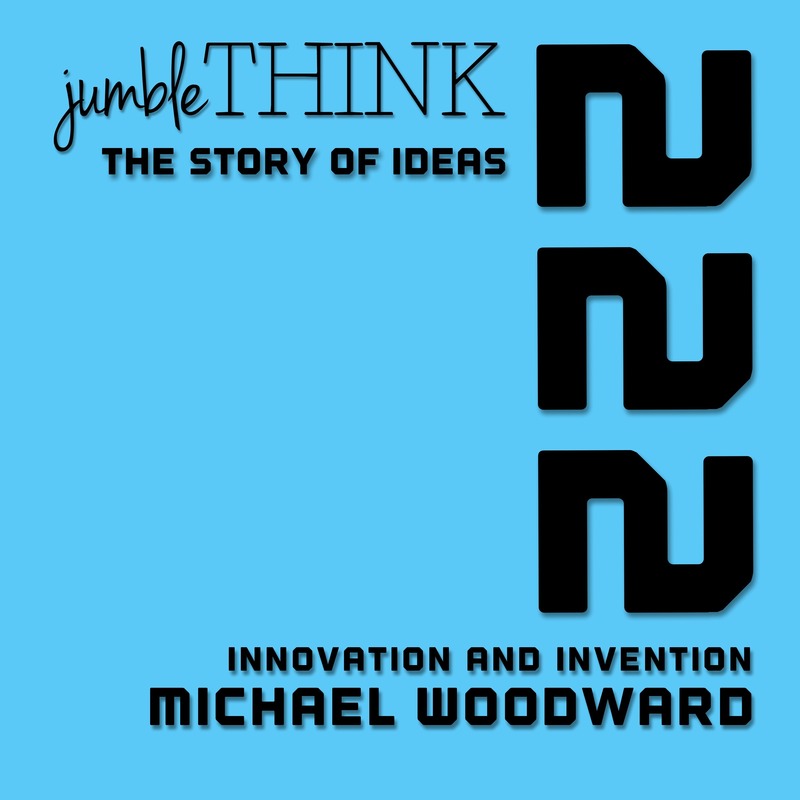 I share how Apple has lost it's identity and visionary power.Later in the episode we talk about how you can find your identity and visionary ability to lead your industry with innovation and invention. Today's episode is sponsored by Mighty Travels. Beth Guckenberger has been on a mission to help children around the world. Durning a missions trip to Mexico, her and her husband wanted to help more. They found an orphanage and met people that really needed help. This birthed a mission in their lives to serve children. In today's episode we talk about finding missions that move you to a new place of compassion. Beth shares how they created the Five Point Childhood Development Model to serve kids through their physical, emotional, educational, social, and spiritual needs. They now serve children in Mexica, Nigeria, India, and Haiti. 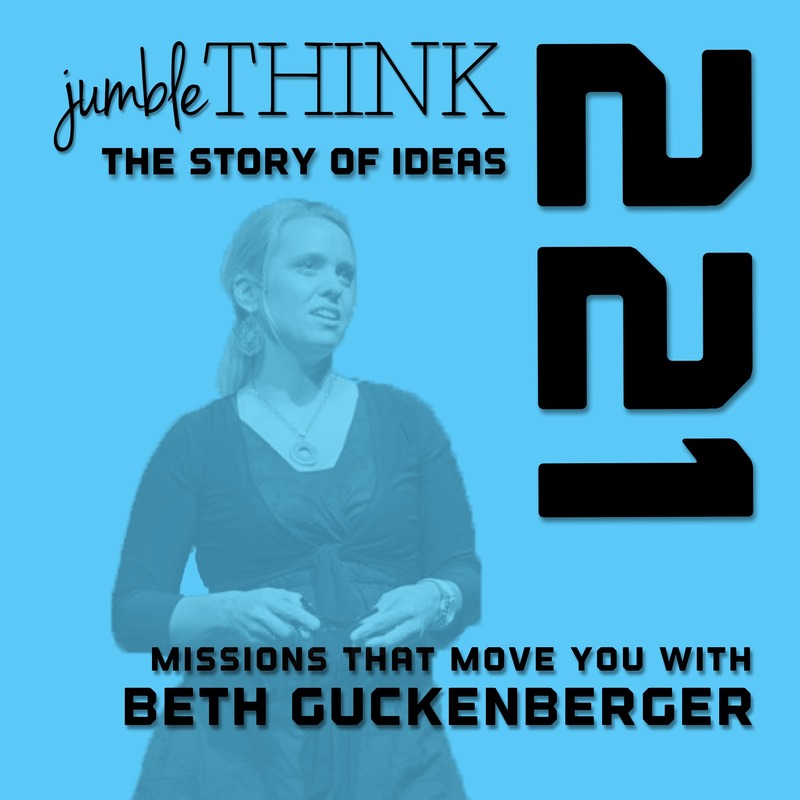 This episode will challenge you to find the mission in your life that causes you to take action.Links: Back2Back, Beth Guckenberger WebsiteToday's episode is sponsored by Mighty Travels and OpportunityInChina.comAbout Beth GuckenbergerBeth and her husband, Todd, live with their family in Cincinnati, Ohio where they serve as Co-Executive Directors of Back2Back Ministries. After graduating from Indiana University, the Guckenbergers moved to Monterrey, Mexico where they lived for 15 years. Between biological, foster, and adopted children, they have raised ten children.Beth is the author of eight books including adult and children’s titles. She travels and speaks regularly at conferences, youth gatherings and church services. Her style is based in story-telling and she draws from her vast field experience as a missionary, Bible teacher and parent for illustrations of biblical concepts. 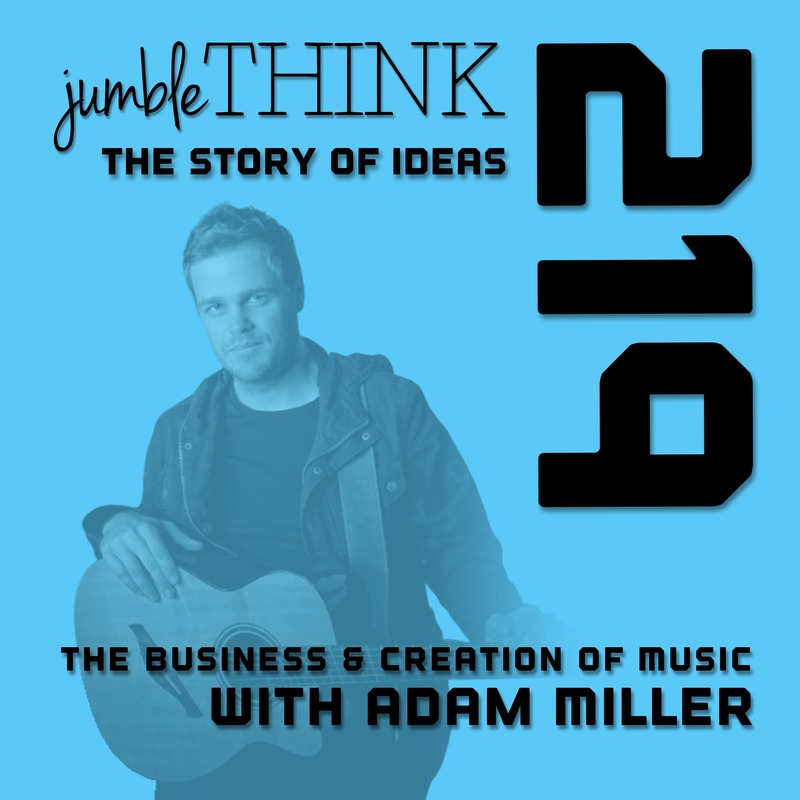 Guitarist Adam Miller has played with some of the biggest names in music, but what does it take to craft your own signature sound all while building a business around your music? By fusing the best of acoustic, jazz, blues, and fingerstyle playing, Adam is creating a new style of instrumental guitar music. In today's episode Adam shares his crazy story of how he played with Les Paul in NYC, his recent move to LA, crafting his unique sound, and his album 'The Defining of Success'. Links: Website, Instagram, Facebook, YouTubeToday's episode is sponsored by Mighty Travels and OpportunityInChina.comAbout Adam MillerWith a unique approach to the guitar, Adam Miller's music is groovy and approachable, whilst having a melodic sophistication that only comes from years of cross genre hopping. His inclusion of complex rhythms and dissonant haunting phrases, combined with breathtaking riffs and melodies are his signature. His jazz influenced style with finger-picking mastery creates a improvisation filled live performance that is beautifully unpredictable. This has seen him share stages with Les Paul, Tommy Emmanuel, Matt Schofield, Russell Morris, Charlie Hunter, Adam Levy, Ariel Posen, Tony McManus, Ben Gillies (Silverchair), and the list continues.... Following a relentless international touring schedule the past few years which has seen him perform in the USA, Canada, UK, Germany, France, Italy, Poland, Japan, & Australia, Adam Miller has just released his new album THE DEFINING OF SUCCESS in March 2018.Miller has had feature articles in Guitar Player, Acoustic Guitar, Premier Guitar, Acoustic UK, Australian Guitar, and Australian Musician. In 2013 his album "Delayed" named in the top 10 Albums of 2012 by US Acoustic Guitar Magazine. He was also named on of the top 25 Future Legends in Australian Guitar Magazine. In 2010 Miller was named "Guitarist Deserving Wider Recognition" by US based magazine, Guitar International.Having released 6 independent Solo Albums to date that have all gone on to international acclaim, Miller is also signed to USA video tuition Label 'TrueFire', and has lectured in Jazz and Contemporary Guitar at the University Of Newcastle, Australia.He is an endorser of Nik Huber Guitars, D'Angelico Guitars, Traugott Guitars, Thorell Guitars, Two-Rock Amplifiers, Henriksen Amplifiers, Analysis Plus Cables, Seymour Duncan Pickups, and D’Addario Strings. Finding your voice is all about finding our authenticity. 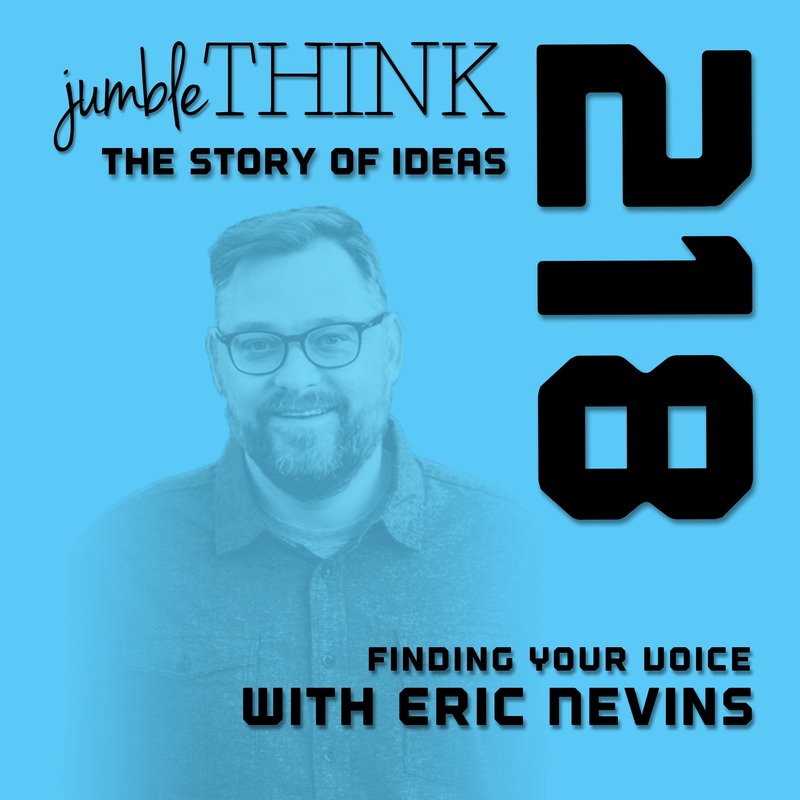 Eric Nevins has been on a journey to find his authentic voice and share it with the world. To find his voice he took the risk to leave a comfortable job and chase the dream deep within him. Now he uses faith, the art of storytelling, and interviewing others to help share a way forward in finding yourself. His Halfway There podcast is well respected in Christian circles. 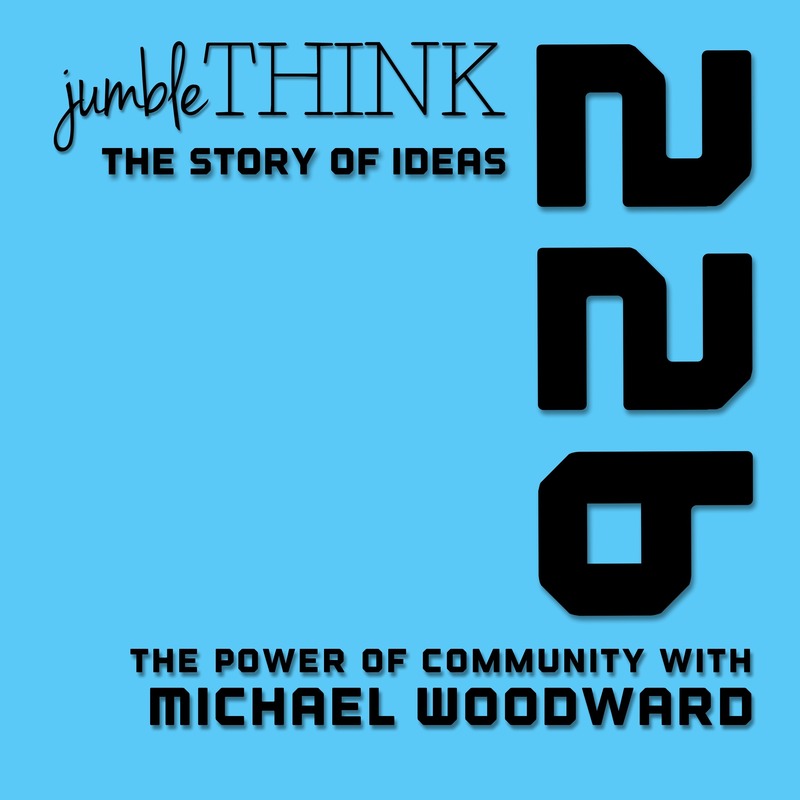 In today's episode we chat about finding your voice, community and faith, culture and community, and much more. Links: Halfway There Podcast Website, 8 Day ExperienceToday's podcast is sponsored by OpportunityInChina.com and Mighty TravelsAbout Eric NevinsEric Nevins is the host of Halfway There Podcast, founder of the Christian Podcaster's Association, and author of multiple 8 Day Experiences, a collection of short, contemplative Bible studies designed to take you deeper with the Bible.Eric works with Christians experiencing seasons of dryness in the journey of life with God by helping them accept the spiritual desert, how they got there, and surrender to God's work through the pain. As a spiritual director, Eric helps Christian connect the dots of God's movement in their lives.Eric holds a B.A. in Biblical Studies from Trinity International University and a Master of Divinity specializing in spiritual formation from Denver Seminary. He refined his craft of listening in the trenches of corporate America. 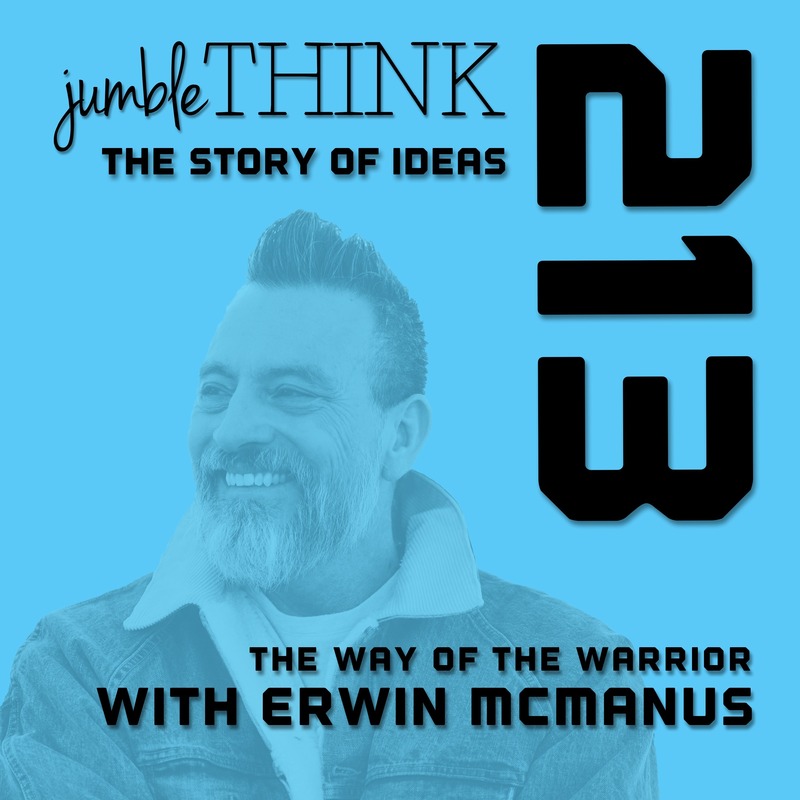 His podcast serves as a practical example of the spiritual formation principles he learned in school.Eric lives in Denver, Colorado with his wife of 21 years, four kids, and a miracle dog who insists on sleeping on the bed. In his free time, Eric loves to cook BBQ for his friends and start meaningful conversations with total strangers. How do we step into our fullness? By finding our true identity. Rock Thomas believes that you can rewire and reprogram your thinking about yourself and begin to create the version of yourself you want to truly be. 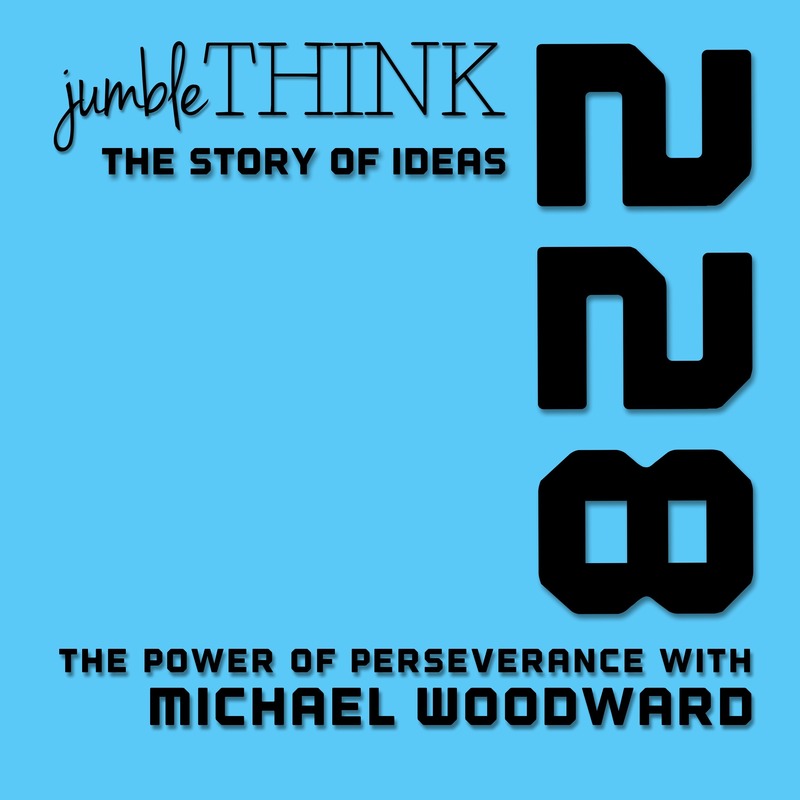 In today's episode he shares how you can reframe bad things into new possibilities. Your bad situations can become the resources to create a better future. 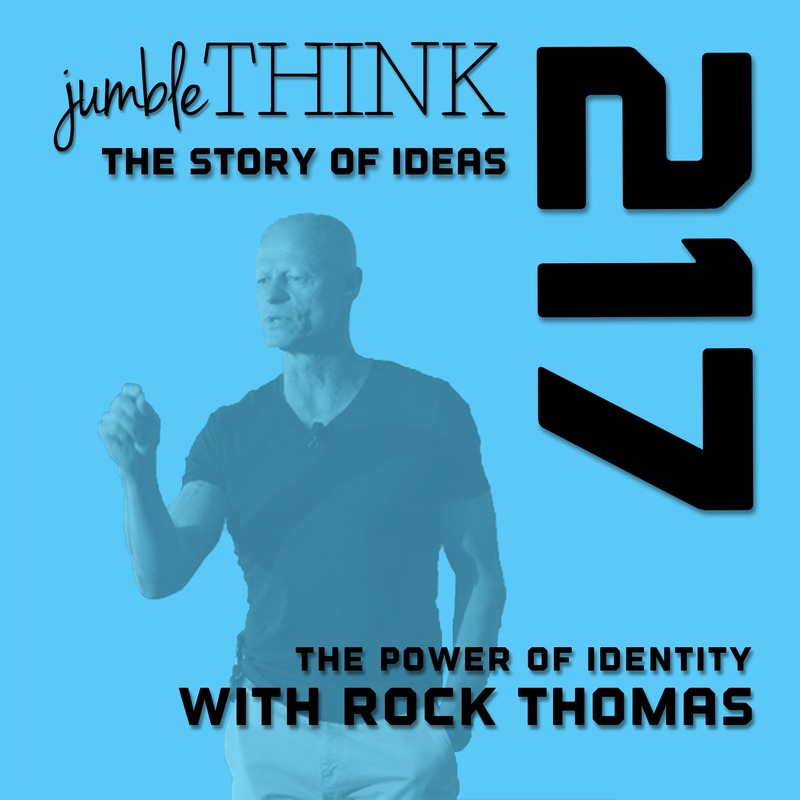 It's time to live big and unlock the power of true identity.Recommended Reading: Principles: Life and WorkRock's Links: Website, Facebook, Twitter, Instagram, YouTubeToday's episode is sponsored by Mighty Travels and OpportunityInChina.comAbout Rock ThomasThe World’s #1 Whole-Life-Success ExpertAs seen in the Goalcast video Rock Thomas impacted over 70 million lives, created the #IAMMovement and is known as the one who will help you redefine your life.From humble beginnings, Certified NLP Practitioner, self-made millionaire, bestselling author & world renowned speaker Rock Thomas skyrocketed to success, earning awards, shattering records, and becoming one of the top fifty realtors in the world. Searching for more meaning in a life filled with achievements, he traveled the world, studying one-on-one with the world’s best teachers, including masterminds of growth like Tony Robbins, Jack Canfield, Wayne Dyer, and more. Over the years Rock has touched millions of lives and now, he spends his time helping others achieve whole-life wealth & success through event, programs, books, and coaching. Stuart Day is a master luthier who has studied under some of the biggest names in the guitar building industry but now he is building multiple businesses to build a sustainable business model. Many who chase their dreams don't realize that there is more to entrepreneurship than doing what you love. Building a business is hard work and Stuart had to learn how to go beyond building guitars to learn how to build a business. Stuart has now diversified and also runs multiple businesses in different industries. In today's episode Stuart shares his story of how he became and entrepreneur and why turning your passion into a business is often much harder than expected. 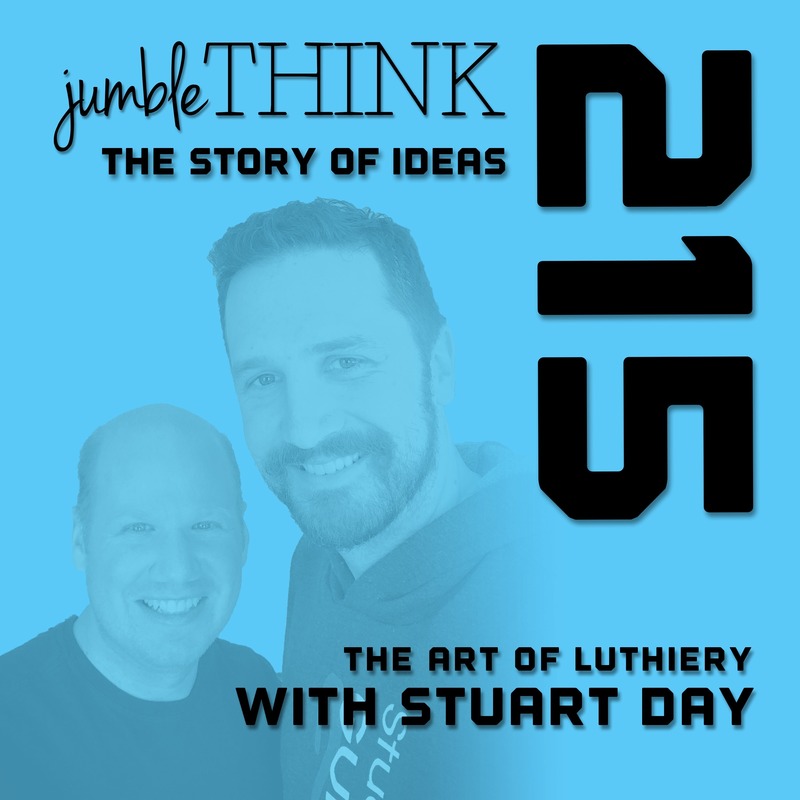 We also chat about mentoring, regenerative farming, real estate, building marketing firms, the power of how we learn, creating a new model for apprenticeship, and what true materialism should mean.Stuart's Links: Website, Instagram, FacebookToday's episode is sponsored by OpportunityInChina.com and Mighty TravelsStuart Day has been practicing the fine art of lutherie for all of his adult life. After working with some of the finest in the industry Stuart is now proud to offer his own selection of world class acoustic Arch-top and Flat-top steel string guitars. Each and every Stuart Day Guitar is an exquisite, handcrafted, reflection of Stuart's years of experience and dedication to the craft of Lutherie. We are trying something new we call 'Friends Friday' where we interview entrepreneurs that are good friends of our. Our first guest on Friends Friday is Phoebe Mroczek. 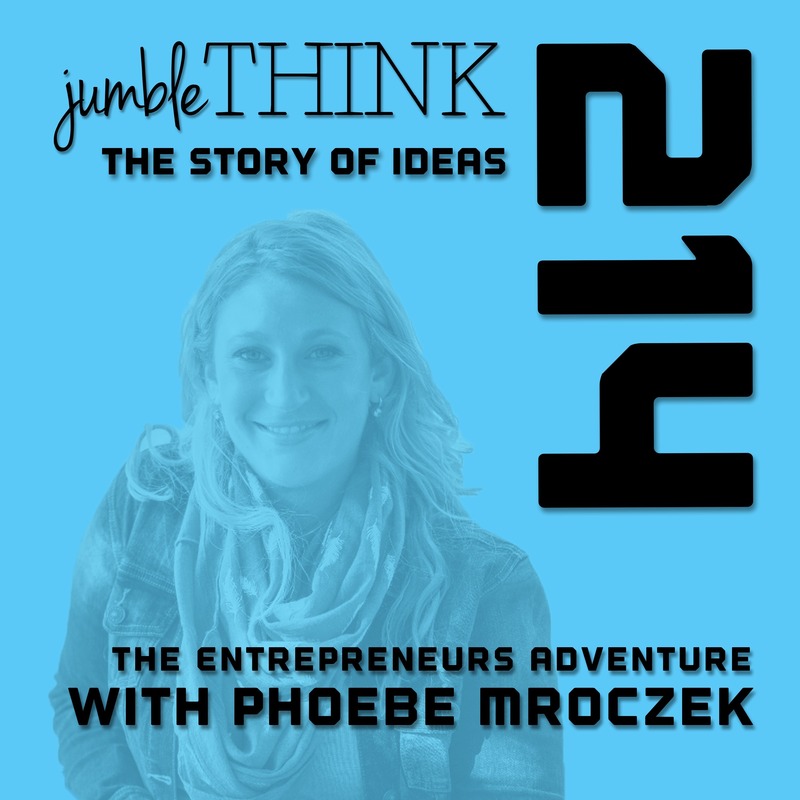 Phoebe is a coach, personal branding expert, and podcaster. We met at New Media Summit in Austin Texas.Phoebe has been on an entrepreneurial journey into the unknown. She didn't set out to be an entrepreneur but over the course of some major life decisions found that she connected with the freedom that entrepreneurship allowed. The freedom of creating, travel, adventure, exploration, and finding community. Along the way she has found herself by unbecoming everything she is not. In today's episode we discuss her story of entrepreneurship, travel, navigating the complex landscape of true community in a digitally connected world, marketing, and why she's so excited about podcasting.Let today's episode challenge you to take your own adventure into the unknown and intentionally create the life of your dream.Recommended Reading: Untethered Soul and Conversations with GodPhoebe's Links: Unbecoming Podcast, InstagramToday's episode is sponsored by Mighty Travels and OpportunityInChina.comPhoebe Mroczek is a podcaster and marketing strategist who helps online entrepreneurs create a profitable business that is an honest reflection of who they are and what they want most.She is the host of the Unbecoming Podcast, a show that helps entrepreneurs release judgments, beliefs and past conditioning holding listeners back from living a more meaningful life.Over the past few years, she’s built an online marketing business that helped established entrepreneurs refine their paid ad and launch strategies, created a podcast she co-hosted with 900K+ downloads and organized various in-person events, masterminds and online communities.Phoebe believes that while what we do in the world is important, we’re meant to do so much more in life than just work. As an curious explorer and recovering perfectionist, she’s traveled to 64 countries on 6 continents, been cage diving with great white sharks, camped in the Serengeti and motorbiked across Europe. What does it take to build ethical journalism using blockchain? Matthew Iles and the team at Civil set out to solve this complex problem to bring back ownership to the journalists creating the news. With the clutter of 'fake news' and 'news with bias' they also decided it was time to bring trust and transparency back to the newsroom. Their launch was filled with great victories and setbacks, but they have pushed forward to change the game in modern day news. 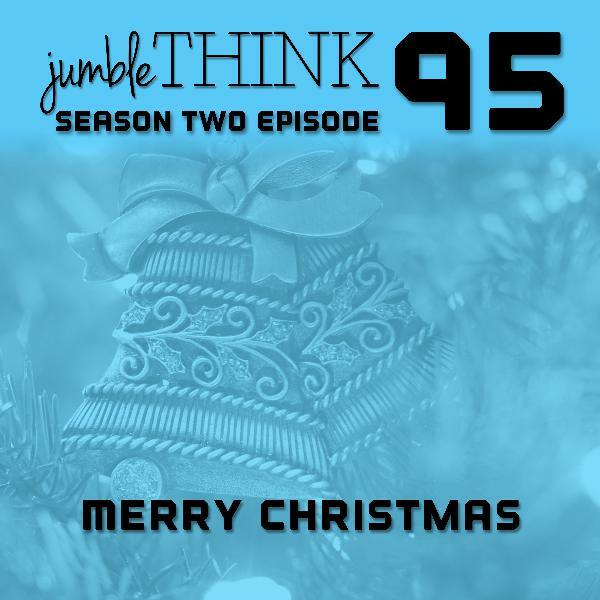 Now they are helping to grown independent newsrooms around the world all while allowing journalist to capture more value they create, in a community that prioritizes ethics in journalism above all else.In the episode we also discuss: Digital marketing agencies, Navigation success and failure, building a platform based business, building the right team, media and journalism, blockchain, cryptocurrency, ethical journalism, and more.Links:https://civil.co/The Next Chapter for CivilCivil on TwitterMatthew Iles on TwitterRecommended Reading: The Hard Things about Hard ThingsToday's episode is sponsored by MightyTravels and OpportunityInChina.com.About Matthew IlesMatthew studied journalism at Duke University before embarking on an entrepreneurial career in digital marketing and innovative business modeling. 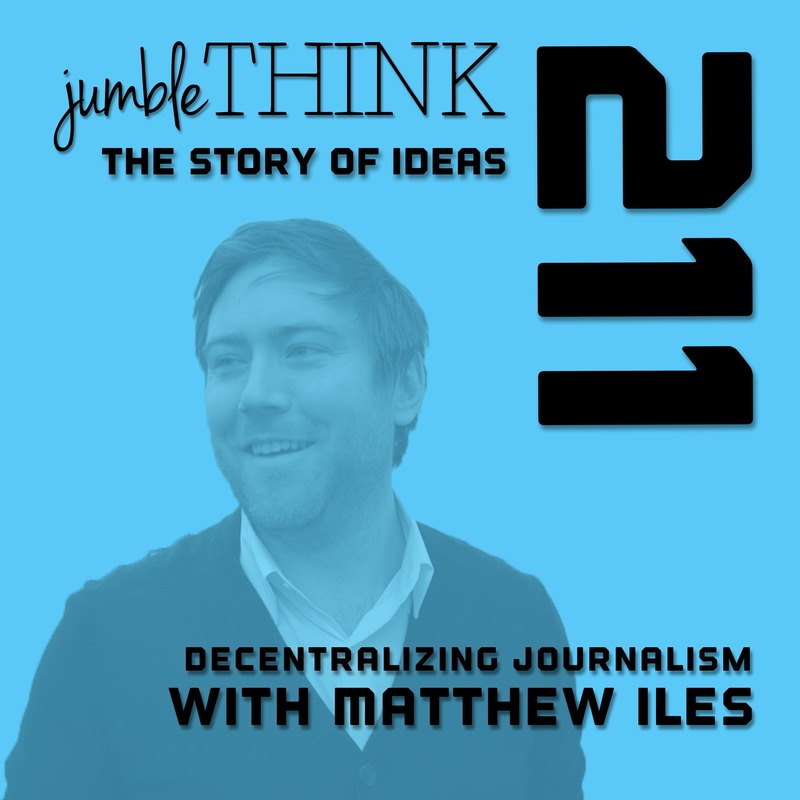 He long imagined it possible to harness both the wildly explosive power of an open discourse platform along with the financial and behavioral incentives of a global cooperative, and first wrote about the concept behind Civil in November 2016.Beyond advocating for sustainable journalism, Matthew also believes deeply in evolutionary organizational methods over traditional command-and-control hierarchies. At Civil, Matthew and the team practice what he originally coined Synchronicity — a cascading, distributed leadership model predicated on vast common knowledge, continuous realignment and a deep appreciation for everyone's personal self-identity. He owes much of his career success to his wife and prior entrepreneurial partner Katie Iles. They live in Brooklyn with their dog Emma.When not working on Civil, Matthew enjoys reading science fiction, cooking and playing board games with Katie, and exploring New York City's and the Hudson Valley's best restaurants and bars.About CivilCurrently, Civil counts 18 newsrooms among its ranks with a total readership near 10MM people, and more than 50 additional newsrooms are preparing to join for our February launch. The Civil Foundation is charged with community-building, and their ambitious goal is 1,000 small to midsize newsrooms onboard worldwide by 2020.Civil sits at the intersection of two major trends: 1) decentralized economies powered by blockchain, and 2) quality journalism and civil discourse in an era of unprecedented division. Both are volatile and face adversaries who wish to hamper their growth and sustainability. Both are vital to a more open, trustworthy and transformative society tomorrow and beyond. What does it take to farm in the middle of New York City? 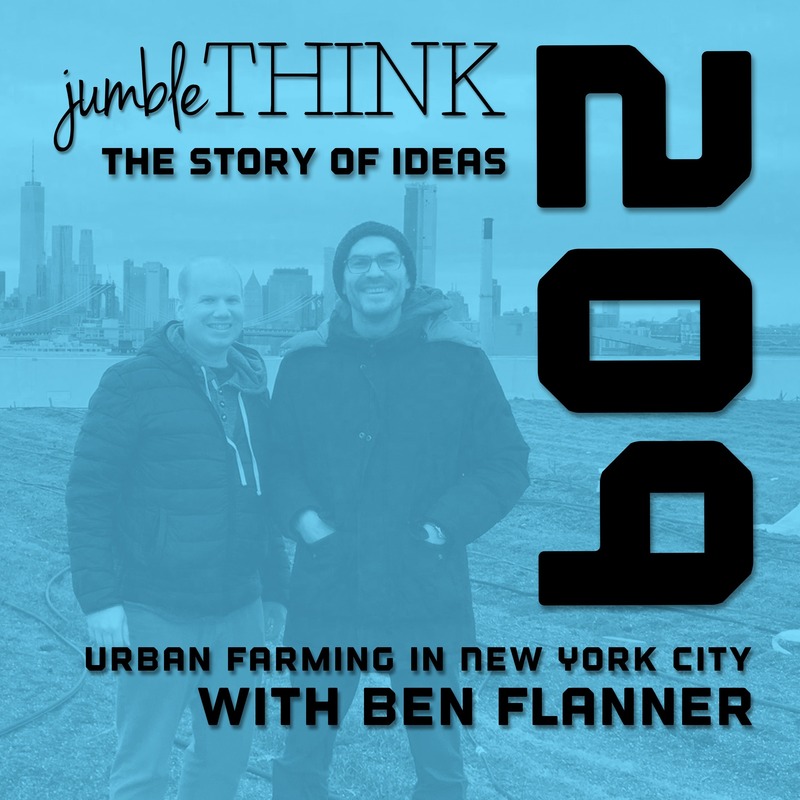 Ben Flanner co-founded Brooklyn Grange with the idea that farming could still happen in major urban centers. So they set out to solve this problem and bring agriculture into the city. They found a few warehouses in Brooklyn and Queens and started farms on their rooftops. This journey was one without a roadmap. No one else could show them the way, but they decided to press forward and pioneer a new way to farm. Their farms are impacting the local community in many ways including reducing rain water runoff, brining organic foods right to the doorsteps of local restaurants and farmers markets, and creating community around innovative solutions. In today's episode we also bring in questions from our listeners. Thanks Rebecca, Jackson, and Phoebe for joining the conversation! Topics we discuss in the interview include: sustainable farming, urban farming, solving complex problems, and much more.Check out Brooklyn Grange at their Website, InstagramToday's episode is sponsored by Mighty Travels, Flocksy, and OpportunityInChina.com.More about Ben and Brooklyn GrangeBen Flanner is a co-founder and CEO of Brooklyn Grange, based in New York City. A pioneering urban farm operation, the business farms rooftops, designs and builds green spaces, and promotes sustainable living and local ecology through food, education, and events. The business includes over 3 acres of intensive green roofs, and sells its produce via restaurants, farmer’s markets, and CSAs. Brooklyn Grange is widely recognized as a world leader in urban agriculture, with an unwavering drive to develop the concept with an exceptional green and community minded business. Ben’s experience gardening began at a young age, alongside his mother in their Wisconsin backyard. After earning his BS in Industrial Engineering from the University of Wisconsin, Ben moved to New York City, where he began a short career in management consulting, and then financial marketing, notably at E*Trade Financial. But his desire to engage more with community than numbers–and more parts of his body than his brain–drew him to the world of food and farming. Ben has presented to audiences including NYU Stern Business School; Central European University; American Farmland Trust, US Department of Agriculture (USDA), Northeast Organic Farming Association (NOFA); Slow Money; Barcelona’s Smart City World Expo; MAHA Agriculture Conference in Malaysia; The American Farm School in Thesaloniki, Greece; numerous Northeastern Horticultural Societies, and has been a guest expert on dozens of panels and university classes. He was included in 2016 by the New York City Food Policy Center’s 40 under 40 working to transform New York City’s Food Policies. Ben is a juror on the International Architizer A+ Awards, and he has taught urban agriculture courses in multiple cities in North America, and a course in the Environmental Studies department at New York University (NYU).When he’s not meeting with soil scientists to develop a better growing mix or tinkering with a fussy irrigation pump, Ben can be found whipping up a batch of his homemade bitters, or lacto-fermenting whatever is in season at his Crown Heights, Brooklyn apartment. 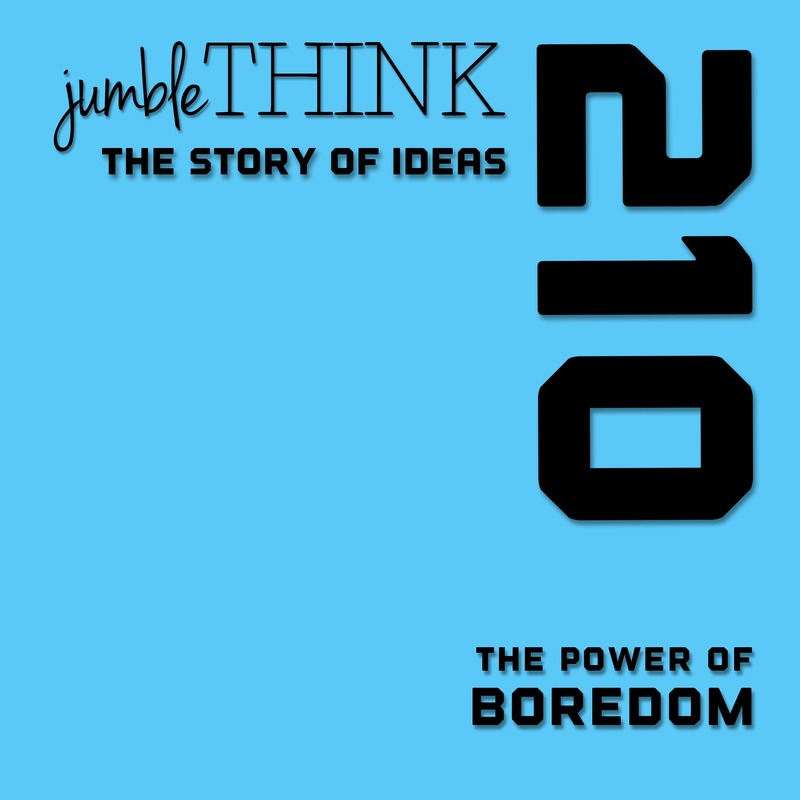 Often when we are on other podcasts and talking to people about jumbleThink, they ask us 'Why jumbleThink'. In today's episode I answer that question for the first time on the podcast. 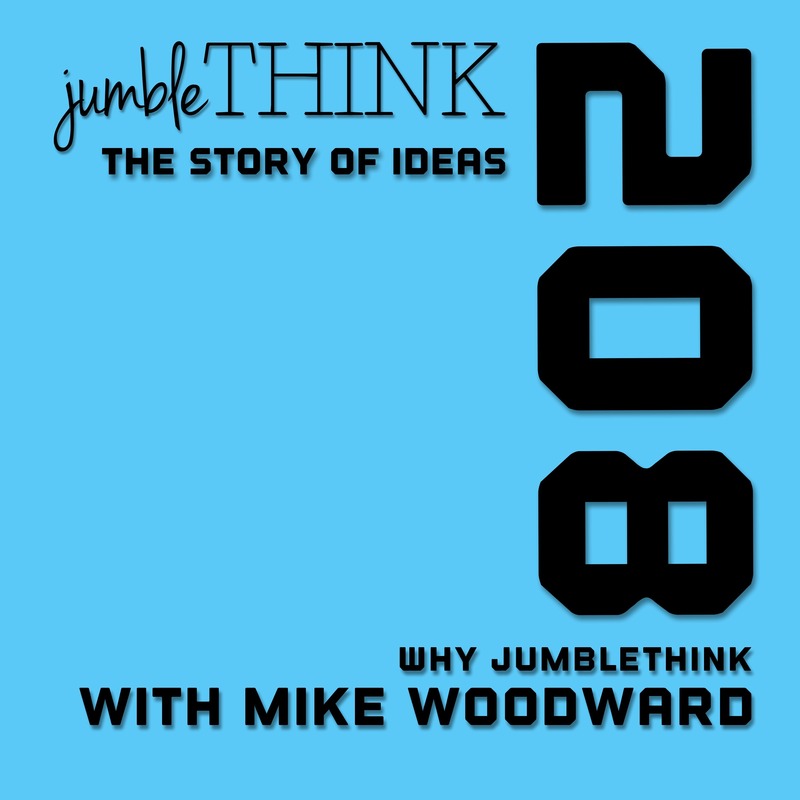 I also share more of the jumbleThink origin story along with giving you challenged on finding you own why.This episode is sponsored by Mighty Travels, OpportunityInChina.com, and Flocksy.